Nasir bin Olu Dara Jones was born September 14, 1973 in Queens, NYC and is better known as Nas. 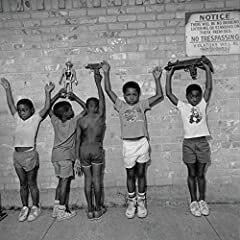 First appearing with the nickname Kid Wave before adopting his known alias of Nasty Nas he grew up in the infamous Queensbridge housing projects. He became an American rapper, record producer, songwriter and actor. His debut album Illmatic, was released in 1994. He has more than 25 million records worldwide since 1994 and now uses his own record label; Mass Appeal Records. This song has a lot of meaning in it; It mainly is about patience. We can't expect solutions to happen over night or right away. It takes time to figure things out and we can't rush through life. Since it takes so much time to improve life, we need to ignore the stupid distractions of the media, celebrity and other nonsensical distractions so we can find solutions to our problems! Tough life is the gift offered to those who prefer to stand out of the crowd and speak about the real face of the situation, no matter what the place and time is. The eternal struggle against injustice, especially in terms of society, is what is ringing the bells in these verses.